WA18 and WA24 have standard 0.75 inch chain pitch. WA72 and WA84 have 1.25 inch chain pitch. Useful for all types of pipe fitting, from waterworks to plumbing. 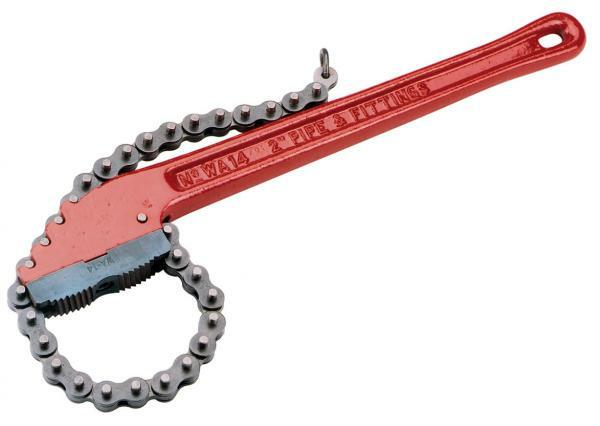 Chain wrenches provide safe, reliable and powerful torque. Reed offers more sizes than any competitor with chain wrenches to fit from 1/8” all the way up to 18” diameters.